Newsletters - Michelle Rogers, Inc. 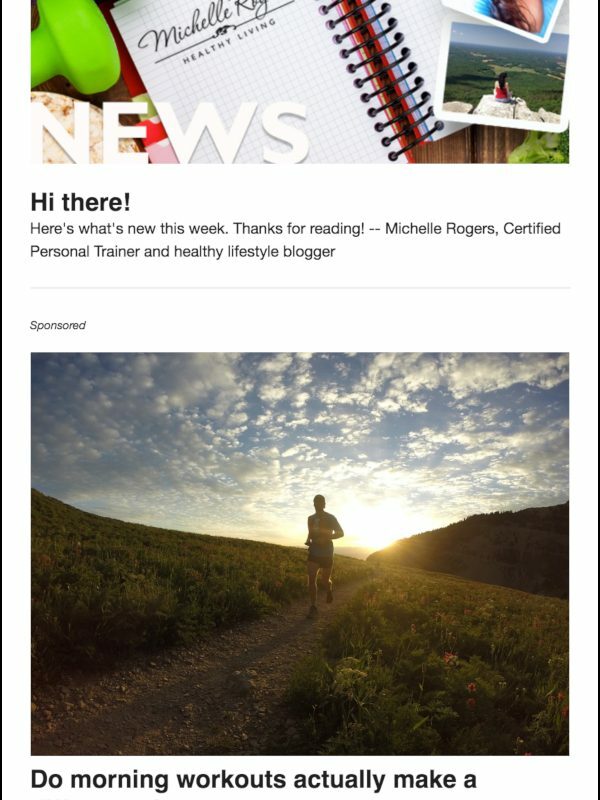 I am the editor of a weekly e-newsletter associated with my blog and fitness business. See past issues here. 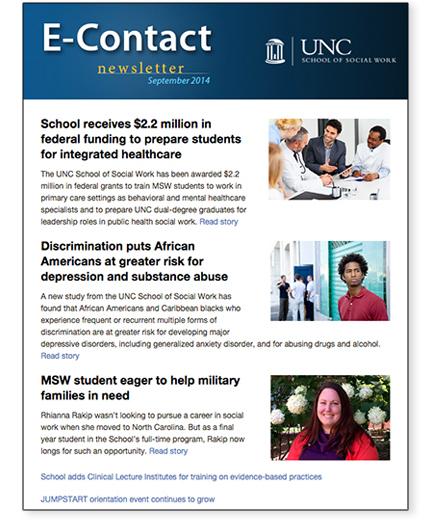 E-newsletter for the UNC School of Social Work. As the director of communications, I was the editor and designer of this and other newsletters. 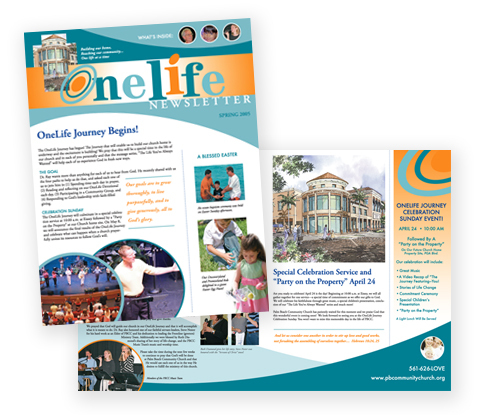 Full color printed capital campaign newsletter for Palm Beach Community Church. Services provided: graphic design, printing management.